Where to Eat Lunch in New York If You’re Off for the HolidaysFrenchette, Adda, La Mercerie, and more are open during the day. The Absolute Best Restaurants for Lunch in Midtown ManhattanWhere to find 60 civil minutes of respite from spreadsheets, small talk, and market calls. 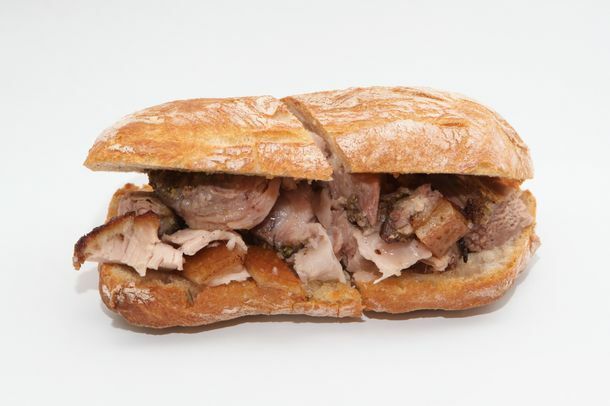 Sara Jenkins Is Bringing Porchetta Sandwiches Back to the East VillageThe roast-pork-sandwich shop is popping up for six weeks at Porsena Extra Bar. This Lunch Box Is Supposed to Help You Eat More HealthilyIt’s mostly about the app, though. 12 New Lunch Dishes To Eat When You Sneak Away From the OfficeFrom Freud, Pasquale Jones, Café Altro Paradiso, Nishi, and more. Estela Team’s Café Altro Paradiso (Finally) Begins Weekday LunchThomas Carter and Ignacio Mattos will expand their daytime hours. The Absolute Best Grain Bowl in New YorkConvenient grab-and-go combinations of healthful grains and fresh veggies are everywhere — these three are the best. Shake Shack Needs to Sell Its New French-Dip Burgers in NYC, TooThere is just no reason why the Roadside Double should be an L.A. exclusive. Sadelle’s Is Now Serving LunchGet ready to try an inverted-bagel tuna melt. Shake Shack’s Newest Burger Includes Sausage From Texas’s LegendaryIt’s only available at the Midtown East location through March 25. Num Pang and the Beastie Boys’ Ad-Rock Team Up to Create a Smoked-MeatMake some noise. 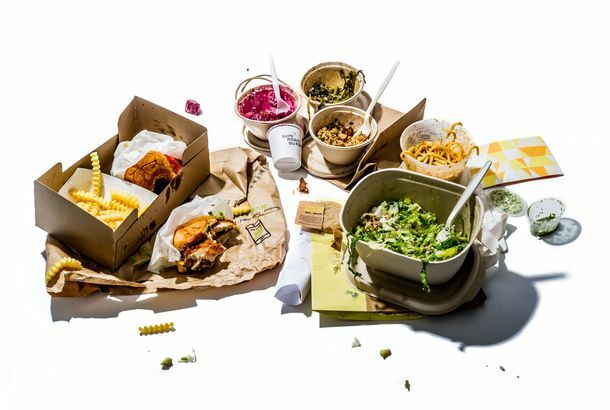 Here’s How You Can Get Sweetgreen Delivered TodaySalad and dessert, to go. The NoMad Turned Its Famed Luxury Chicken Into a BurgerIt’s part of Daniel Humm’s new $29 prix fixe lunch menu. Ivan Ramen Slurp Shop Now Delivers Everywhere South of 96th StreetIvan Orkin’s Gotham West Market shop now brings soup to your door. Il Buco Alimentari Introduces PizzaRoman-style slices are available from 11 a.m. to 5 p.m. daily. Betony Now Serves LunchAnd it includes acorn-squash velouté with spiced Chantilly. Lunchpad, Hi-Lo, Rhea’s Now Available for DeliveryThey’re all connected via TCB Courier. Merigan Sub Shop Headed for SoMa; Almanac Beer Dinners; and MoreAlso, Kitchen Mojo is now open. Even in Good-Food-Obsessed Berkeley, High School Students Eat JunkIt’s a microcosm of a much bigger problem. Nightingale 9 Launches Lunch Service Next WeekA crucial announcement from the owners of Seersucker and Smith Canteen. Hi-Lo BBQ Launches Lunch; Craftsman & Wolves Launches Dinner; and MoreAlso, Artesano is on the way to Laurel Heights. Sumi Robata Bar Launched Lunch Today, Domo Arigato!Sumi for lunch. Lafayette Now Open for LunchBreakfast is next. Cookie Bake Sale at Waterbar Friday; Oenotri Does Weekend LunchAlso, Steps of Rome in North Beach is becoming Il Casaro Pizzeria and Mozzarella Bar. Exclusive: Heyday, a New Downtown Lunch Spot, Opens Monday on Spear StreetThey’ve got a Chez Panisse Cafe alum at the helm, doing seasonal salads and sandwiches in a fast-casual vein. Linea Caffe Coming to the Former Mission Burger Space at Duc LoiIt’s going to host two new pop-up ventures from Anthony Myint, GreenSalads and Lt. Waffle. Rise and Shine: 16 Non-Brunch-y Brunch Spots in New YorkNo two-hour waits or overpriced eggs Benedict. The Next Location of The Melt: 557 HowardThis will be the ninth Bay Area location, and the fifth in town. Almanac, a New Gourmet Fast-Casual Concept, On Its Way to Spear StreetIt’s from a pair of first-time restaurateurs. St. Vincent Offers ‘One-Pot’ LunchesThey’re only twelve bucks. 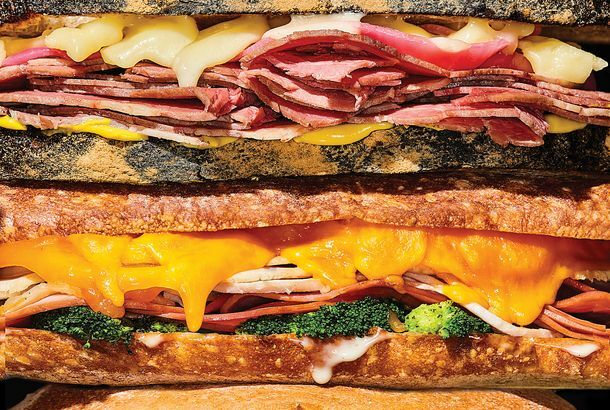 Farley’s Adds Paninis in Potrero HillIt’s a new food menu for the coffee shop. American Grilled Cheese Kitchen Unveils the Giant Panda-wichAlso, their Mission expansion, to 20th and Harrison, is on track for late fall. Fatta Cuckoo’s Rolling Out Lunch TomorrowThe theme is Sandwich Social. Sandwich Shop Parlor 1255 Opens By Levi’s PlazaAlso, they have fresh ice cream. 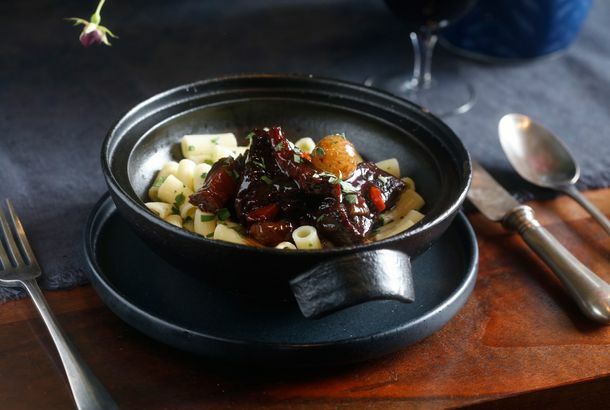 Yes, Virginia, There Is Somewhere To Eat Lunch in the LoopBest things to eat in the Loop.